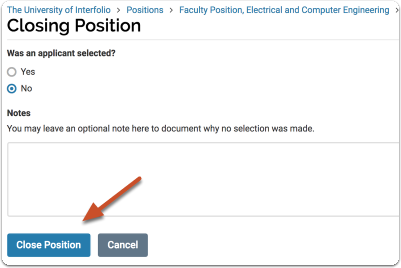 When closing a position, Committee Managers or Administrators are asked to indicate which applicants were selected to fill the position, and if no applicants were selected, can leave an optional note to document why no selection was made. 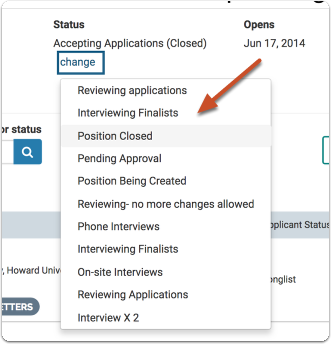 The user is also asked to set a final closed status for the position and has the option to send a message to all applicants based on the status they have chosen. 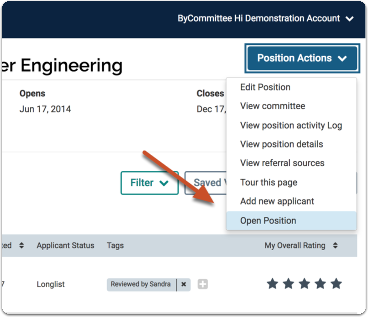 In addition, Administrators can run reports that clearly document who was hired for every search in the system. For more information see this article on how to run a report on hired applicants. 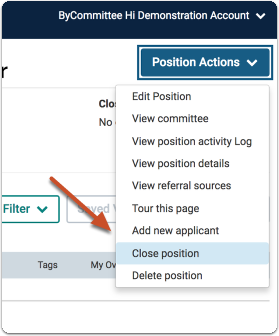 This article explains how to close a position and document the outcome of the search. 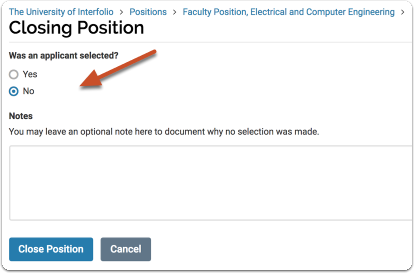 If you want to reopen a position, see our available guide. 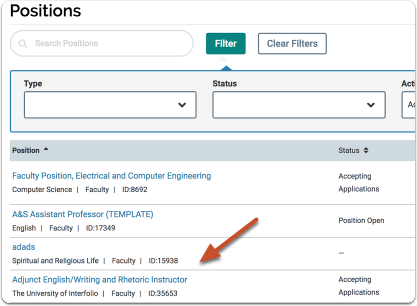 If one or more applicants was selected, click "Add Applicants"
You can search the list of available applicants by name, or email address, and filter the list by application status. 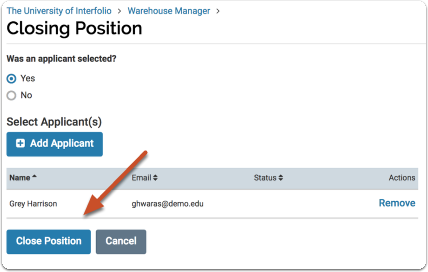 Once you close a position, you should select an appropriate position status to indicate the position's closed state. See here for more information on Position Statuses. Note that the position's closed state is indicated in parentheses, but it is still a good idea to officially change the status when closing the position. 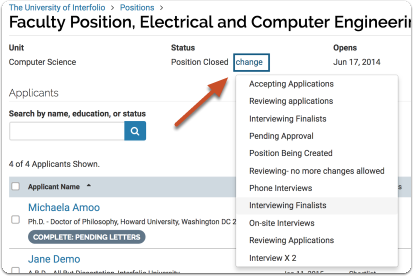 Note that you can elect to send a message to applicants notifying them of the change in status. 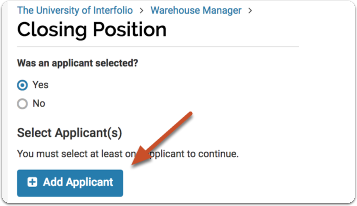 Note: The landing page of the closed position will be unpublished and no longer accessible to applicants.